Plumbing emergencies can happen at any time, which is why at South Orange County Plumbing Heating & Air Conditioning we provide 24/7 services to our customers in Laguna Hills. It is up to you to schedule a same day service or emergency service; in any case an estimate and upfront pricing will be provided to you before we start any work. 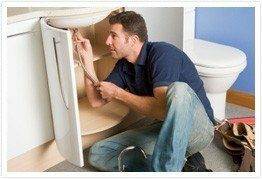 If you are interested in cooperating with our team of professional technicians or if you have any questions regarding your specific plumbing, heating or AC needs, feel free to contact us in Laguna Hills and set an appointment. At Orange County Plumbing Heating & Air Conditioning we ensure that you receive the highest, fastest and most efficient level of customer service available. Receive $20 off any service in the city of Laguna Hills!